Daily pick up and weekly departures from any point in the US to anywhere in the world. Variety of shipping services including full service door-to-door, partial service and do-it-yourself. 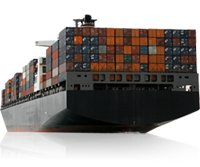 Our team brings over 30 years of experience in international freight delivery. Whether your shipment demands flexibility, or end-to-end and speed-to-market delivery, we provide global shipping coverage in major markets and trade lines with the promise of reliable service at competitive prices. Navigate Your Shipping With Us!